I joined the AA 28 years ago and it has been the platform upon which my career has developed, providing support, information, inspiration and professional friendships. My generation has a lot to thank the AA for. It is those pioneers of the Association that created a profession that we all now benefit from. The Association has provided an invaluable cohesive point of contact and communication for anyone with an interest in the benefits of trees to society and has championed professional tree care on a national scale. The AA provides a network of knowledge and support in diverse ways to a diverse membership. From practical advice to training and professional recognition. The AA has supported me in my professional life for the past 20 years, enabling me to develop with security and support. Get involved, there's no one in this industry so young and inexperienced that they can't contribute something and none of us are so old and wise that we can't learn something new. Are you looking to get your business ‘ARB Approved’ but not sure your paperwork is ‘up-to-speed’ or don’t have the pre-requisite 2 years trading? Then Affiliate Contractor Membership could be just what you need! When you become an Affiliate Contractor Member we’ll send you regular industry news and updates, we will give you continued access to the online ‘Help for Arborists’ resources, we will offer you direct access to the AA Technical Team for Help and Advice (H&S etc. guidance and advice) and you will get quarterly copies of the ARB Magazine, the exclusive members publication. 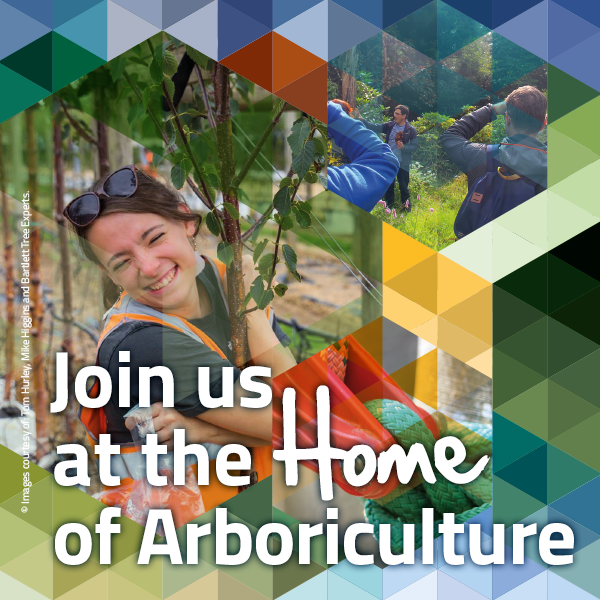 Other benefits including access to the branch network, discounts on our training courses and a host of suppliers and free entry to the ARB Show. What do I have to do to join? Complete the application form and submit it with the payment and your supporting portfolio, including CV, qualifications, experience, sample risk assessments, insurances, LOLER inspection records etc., and we will assess it and offer any guidance required to get it to ARB Approved standard. *in exceptional circumstances a further cost of £50.00 +VAT portfolio re-submission fee may be incurred. Please Note: The Affiliate Contractor Scheme is only available in the UK and Ireland. How long does the membership last for? It is an annual membership but only available for 2 consecutive years. Thereafter you will either have to present for ARB Approved Contractor assessment or lapse the membership for a 12 month period. Will I be listed on the AA website as an approved tree surgeon? No, only once the business is accredited as an ARB Approved Contractor will you be listed on the website www.trees.org.uk. Will I be entitled to use the AA logo or get a certificate of membership? No, only qualified (individual) members are entitled to use the AA logo and receive membership certificates. Will I be able to access the TrustMark / Trading Standards Scheme? No, only once the business is accredited as an ARB Approved Contractor will you be able to access these other schemes.